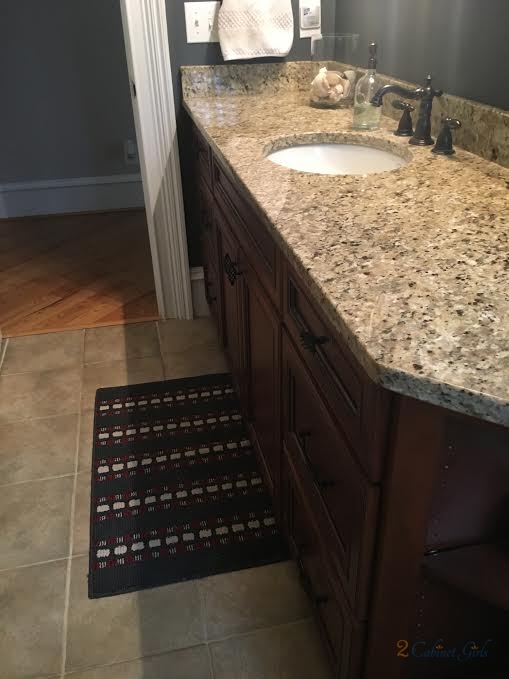 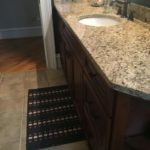 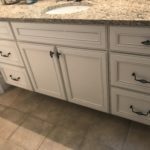 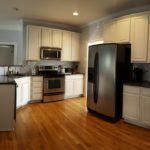 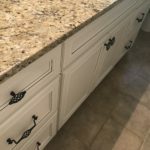 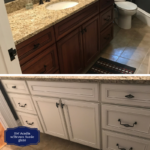 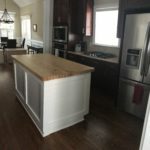 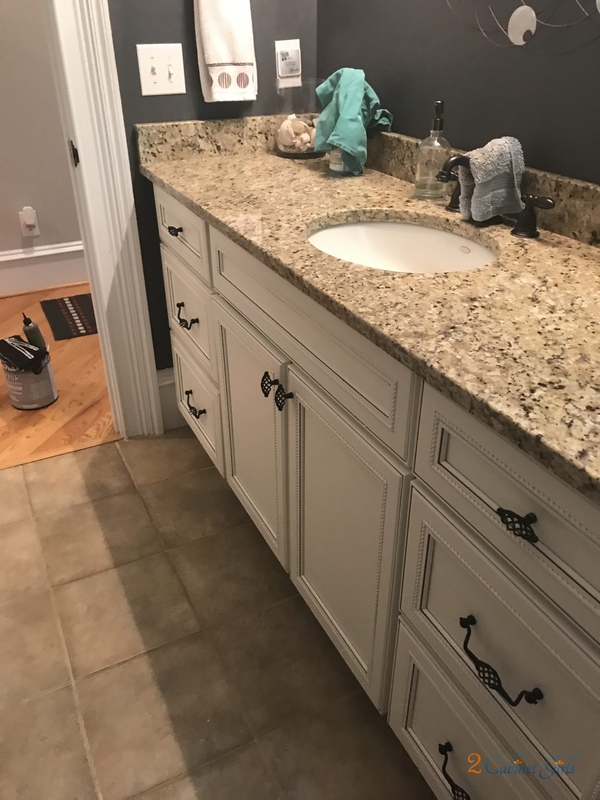 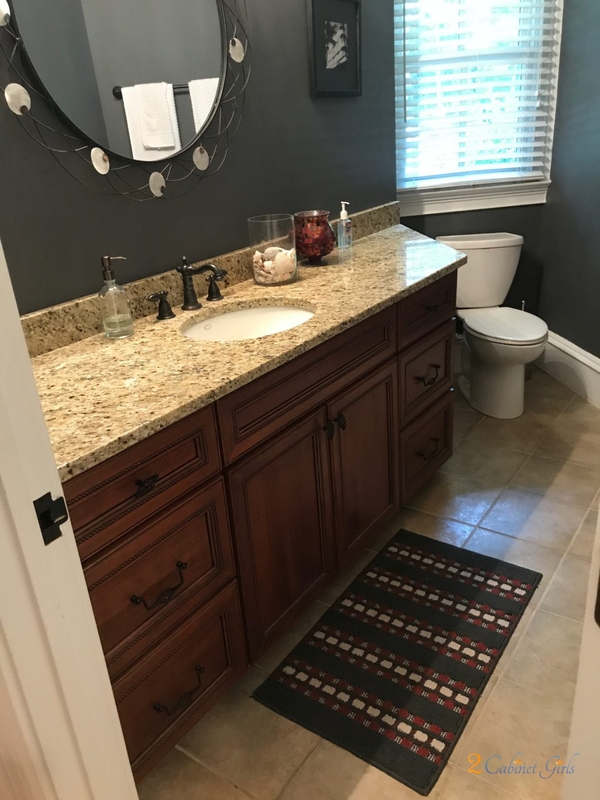 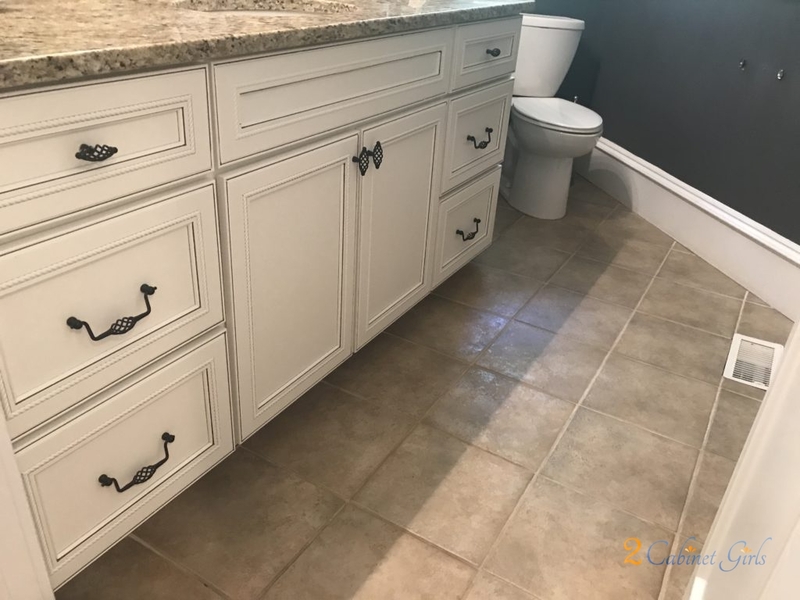 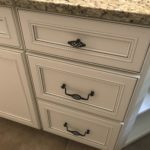 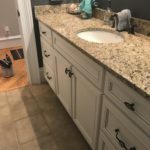 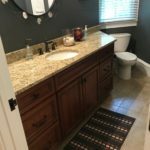 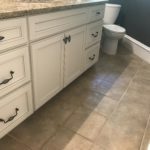 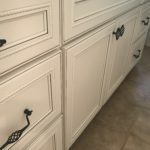 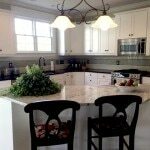 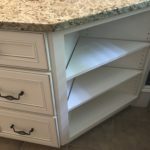 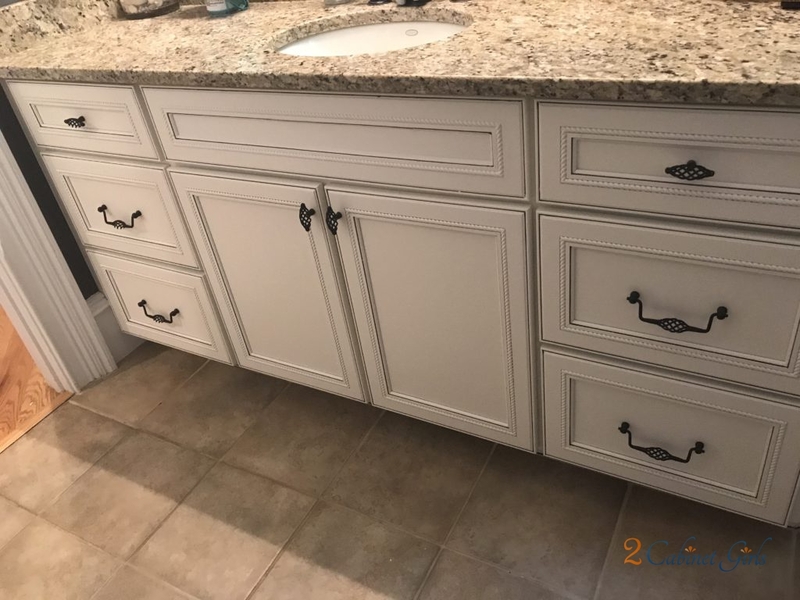 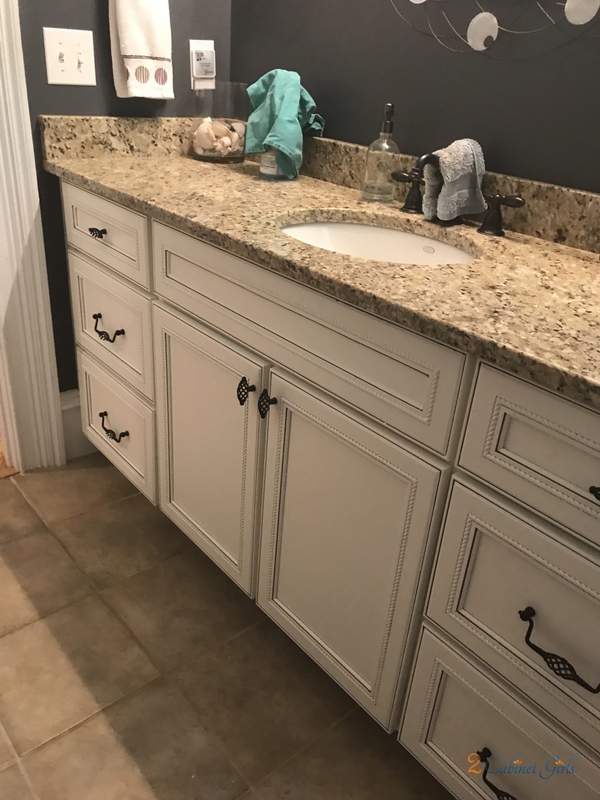 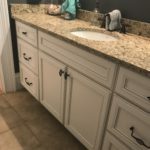 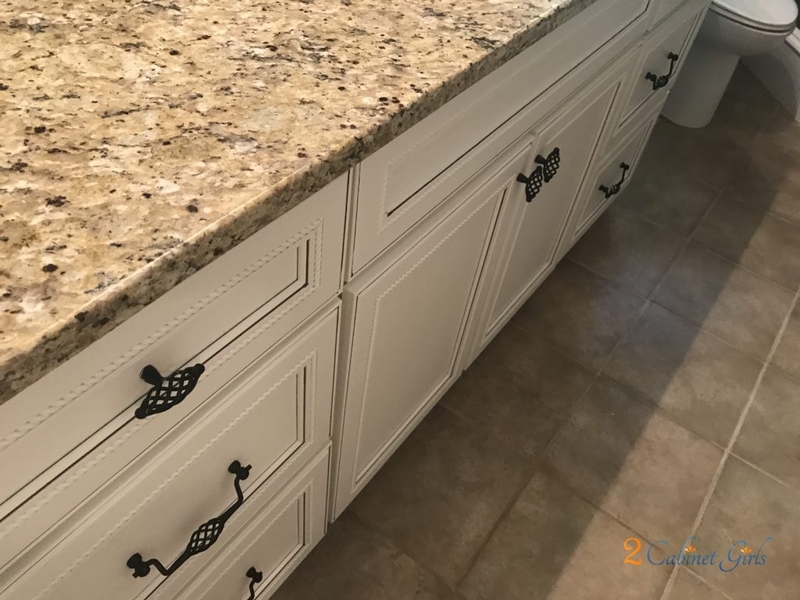 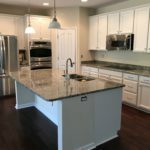 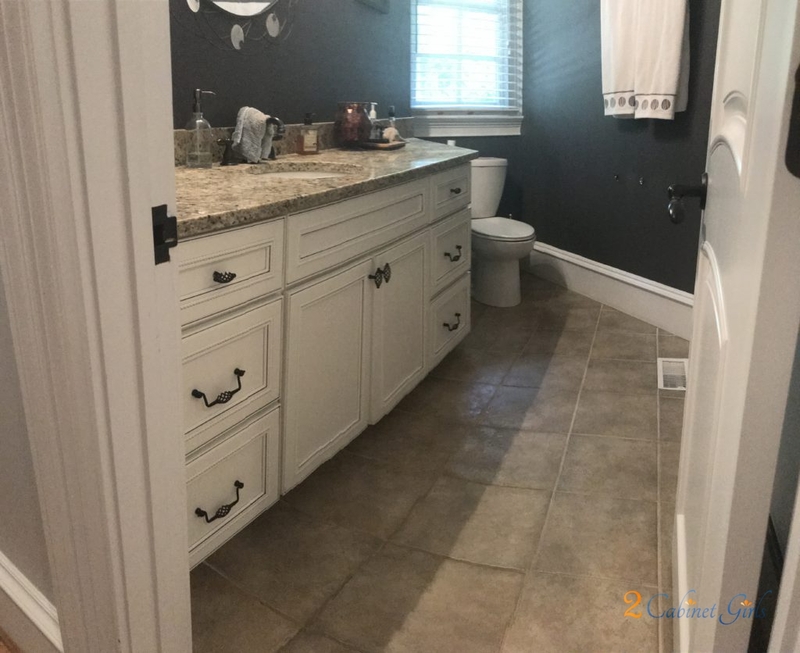 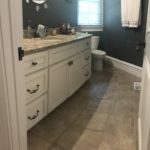 The goal of painting the cabinets in this bathroom was to brighten things up and get rid of some of the brown tones that were making the room feel cramped and dark. 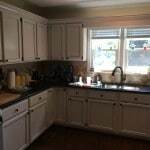 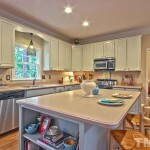 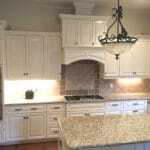 Using Benjamin Moore Acadia White definitely helped solve both of those problems. 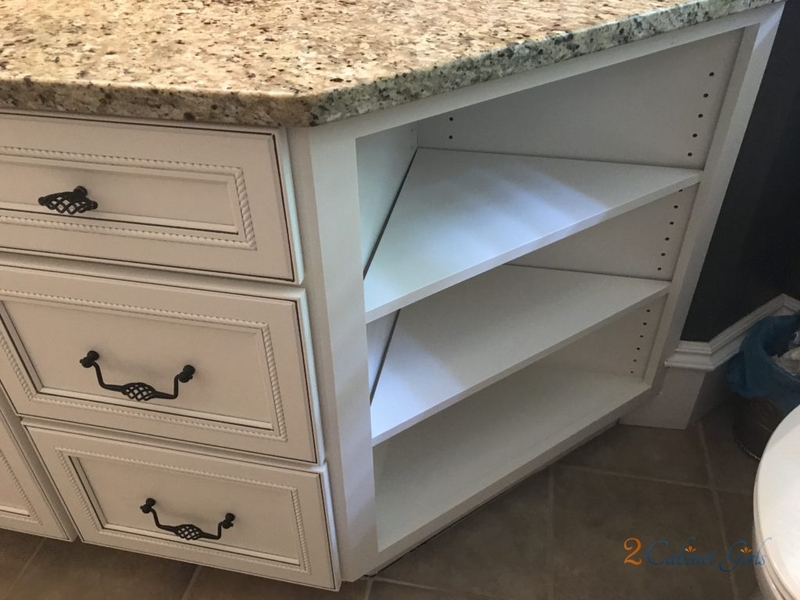 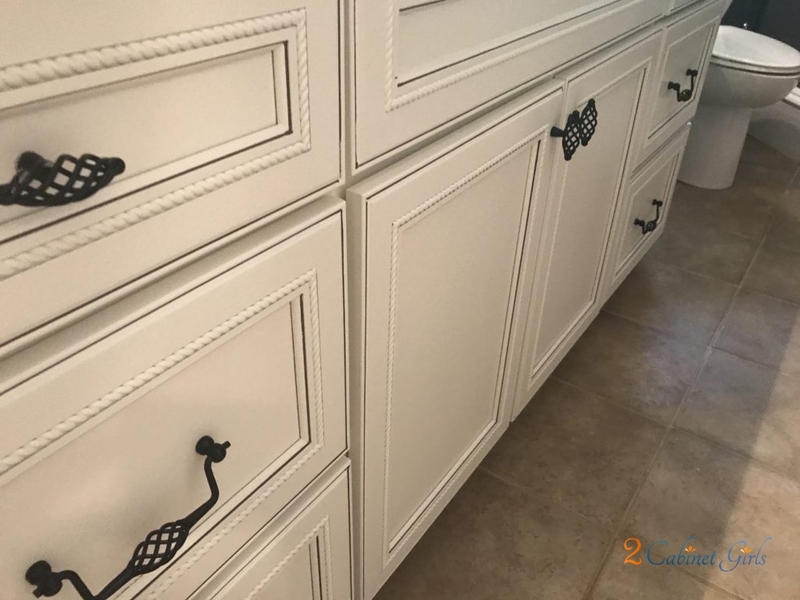 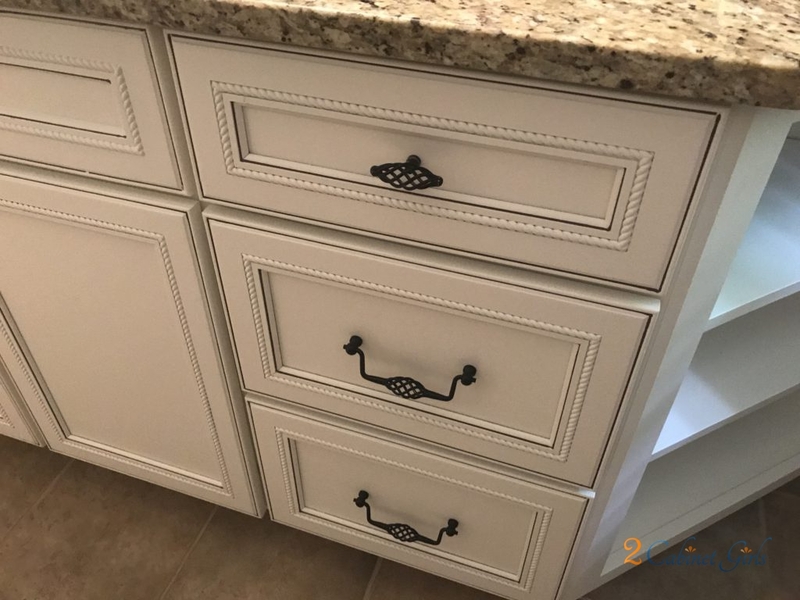 We added a Brown Suede pinstripe glaze to the cabinet doors and drawers to give the panels a bit of definition without making them overly busy. 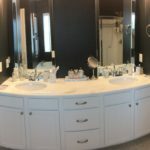 2 stripes did the trick!